At AEL summer never ends! The launch of the 2015 Commercial Brochure will enable hospitality, leisure and catering establishments to smoothly sail through winter to next summer without feeling the chill. With stunning contemporary outdoor dining sets, weather-resistant giant umbrellas, and heat and lighting accessories, AEL’s 2015 product range is guaranteed to create inviting outdoor spaces whatever the weather and whatever time of year. As the UK’s leading provider to the hospitality, leisure and catering sectors, AEL focuses on outdoor solutions that combine quality with innovation for year-round performance. Richard Smith, Managing Director at AEL, commented. 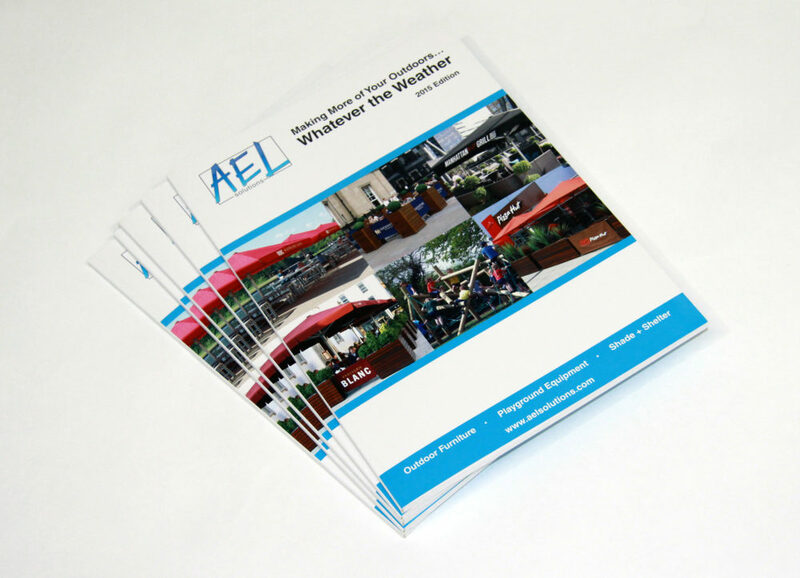 ‘We are delighted to be the first in the industry to launch a 2015 brochure – demonstrating that as always, AEL is the leader in the outdoor furniture and solutions sector. Our largest-ever AEL brochure features some exciting new trends reflected in our new ‘Kaleidoscope’, ‘Paris’ and ‘Torino’ ranges. Key buzzwords for 2015 are ‘Parisian café culture’ and ‘environmentally friendly’.